UGG seems poised for the same ubiquity they enjoyed in the early-to-mid oughts. After releasing a Rihanna-approved collaboration with Y-Project last year (who could forget those over-the-knee heeled slouch boots? ), they're back with fluffy sandals for summer. Actually, "fluffy" is an understatement. 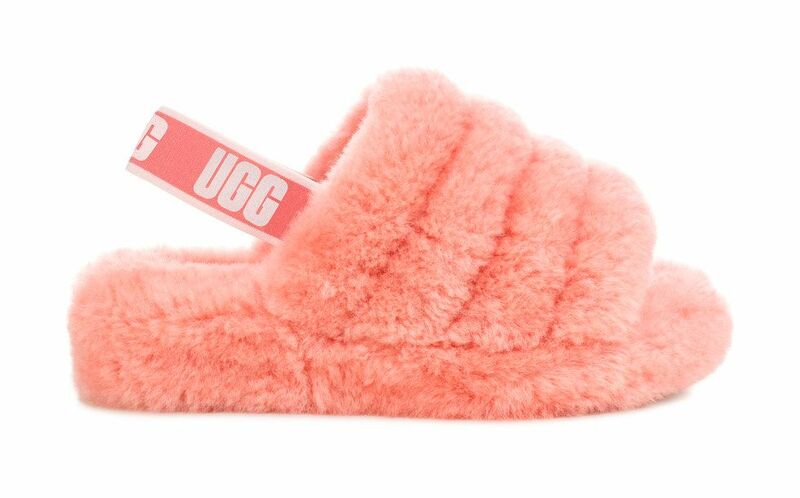 The Fluff Yeah slide is made of UGG's trademark super-soft sheepskin, and a lightweight platform to keep you elevated. Not to mention the shoes come in four different colorways, including baby pink and chocolate, and features a branded back-strap for security. Wave goodbye to the furry slide, the fluffy sandal is footwear's edgier, older sister who just came home from college. They're the type of shoe for those who refuse to sacrifice comfort to make a statement, and are bound to send even the most reserved of fashionistas a-flocking. See all the Fluff Yeah colors, below.